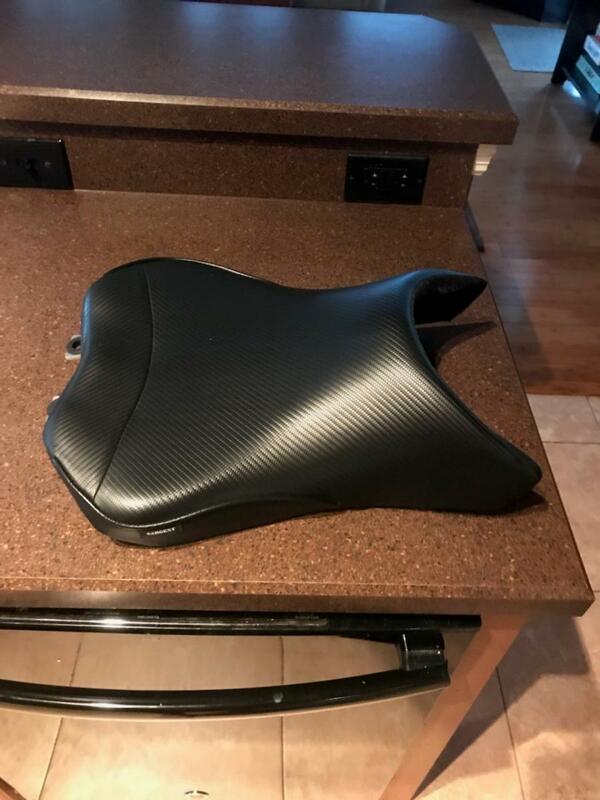 Kawasaki Ninja 1000 Forum > Kawasaki Ninja 1000 MarketPlace > For sale > Sargent rider seat, like new! 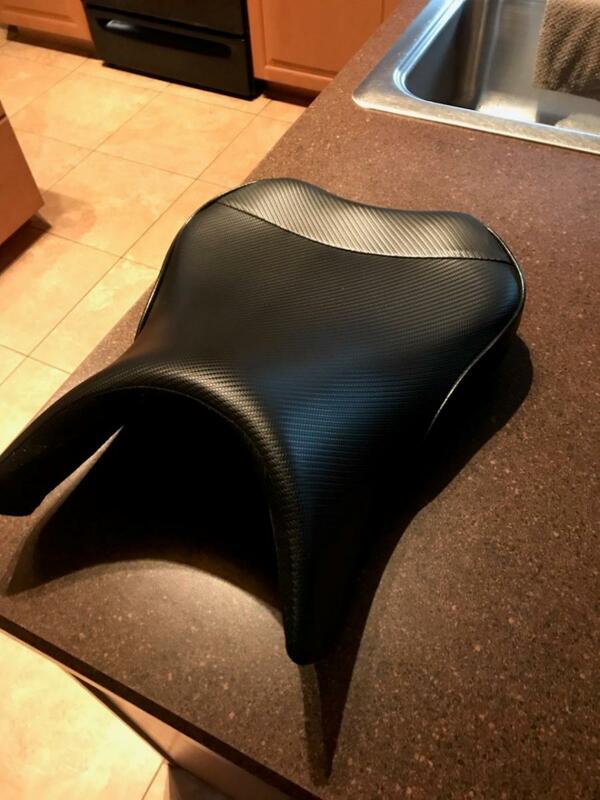 Sargent rider seat, like new! sold bike , dont need it. $120 + shipping from florida. Interested if "The Icari" passes it up. Received today. It is in excellent condition. I am excited to get it on the bike and ride! How do you like the seat? I have a 2011 and thinking about getting one. I like it so far. I only put 48 miles on the stock seat so I can't say much for "differences". I'm at 100 miles on the Sargent seat and it has performed well so far, but the real test will come around memorial day when my friends and I do our all day ride. The Sargent is definitely an improvement over stock but not super plush or anything. I could only go about 20-30 mins on stock before hurting. Few hours on Sargent before I start to get uncomfortable. Still pushes you into tank so someone made a post about using spacers under seat front mount to raise it slightly. I find the material is a bit slippery. If you find one used at a good price, definitely worth a try to see if it works for you since everyone is different. Even new price is same as I paid for used Buell seat. There was a sale around holidays that made it $290 I think for front/rear.